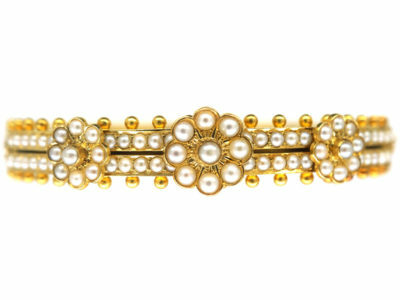 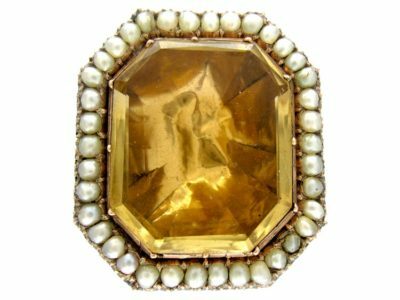 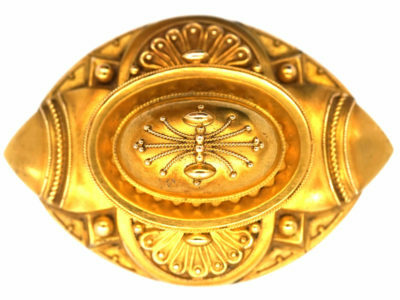 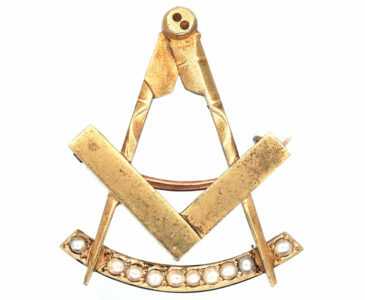 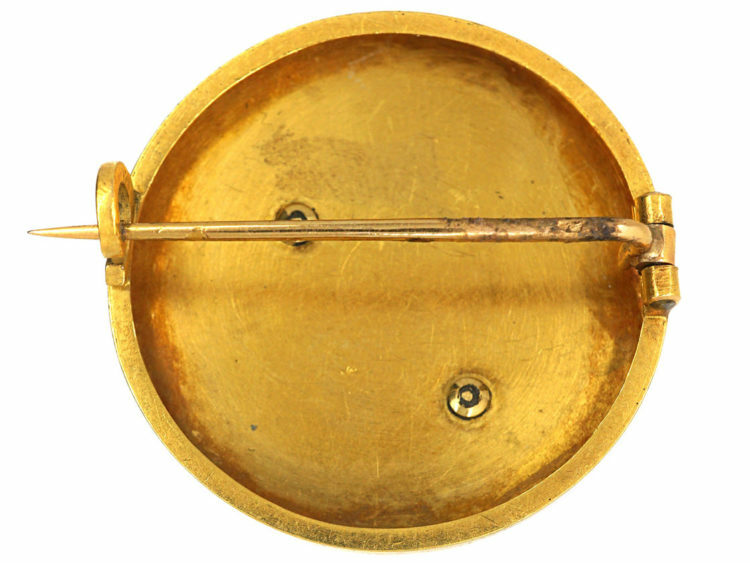 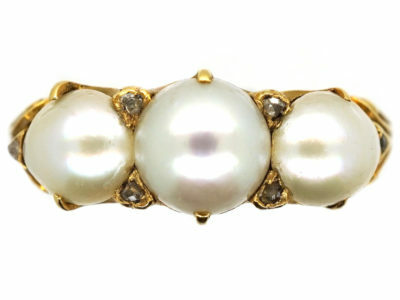 A pretty 18ct gold round brooch that was made circa 1890 in France. 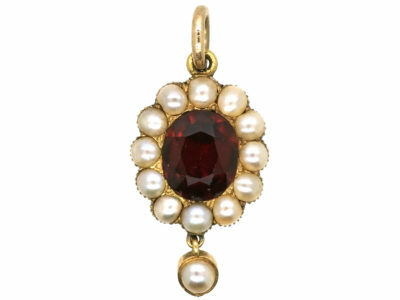 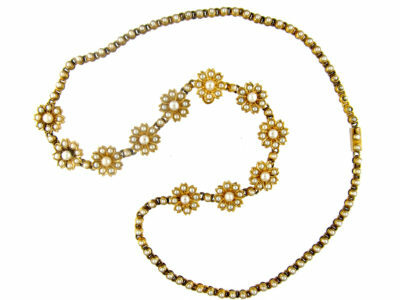 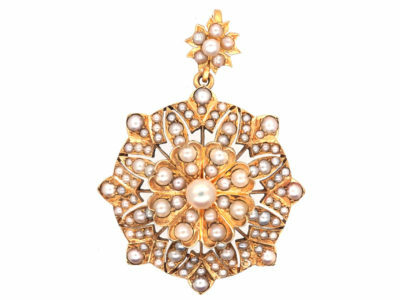 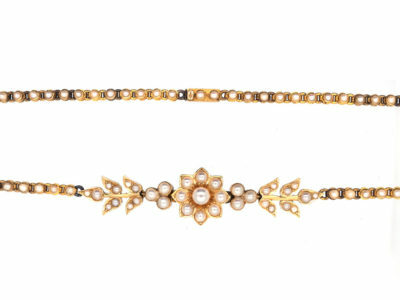 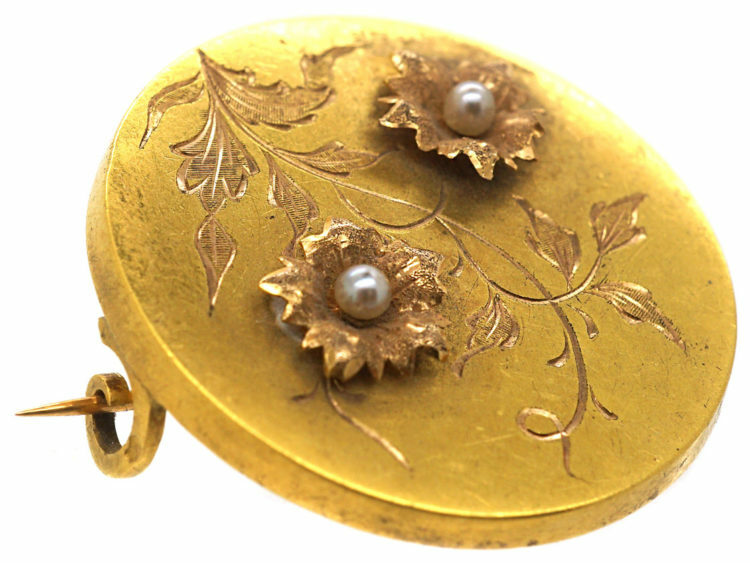 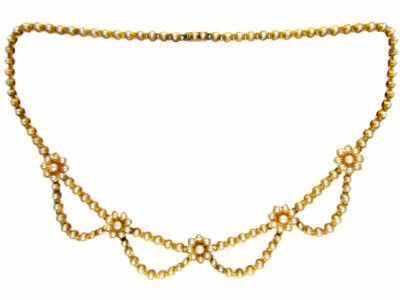 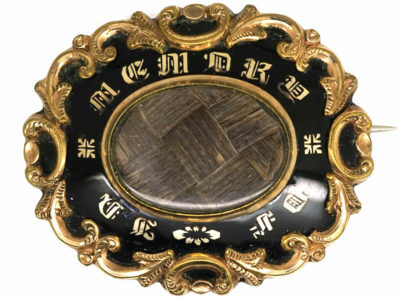 It has been engraved with stems and leaves and has two applied gold flowers set with a natural pearl in each one. 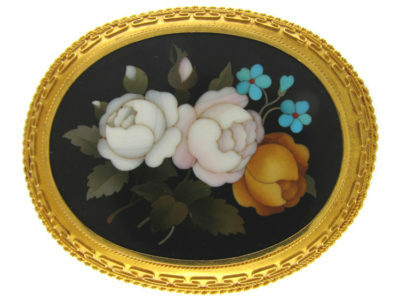 A sweet brooch and a lovely gift.